These Post Card Fixtures Have a Single Pocket Design. Designed for Countertop Use, These Retail Displays are Eye-Catching! 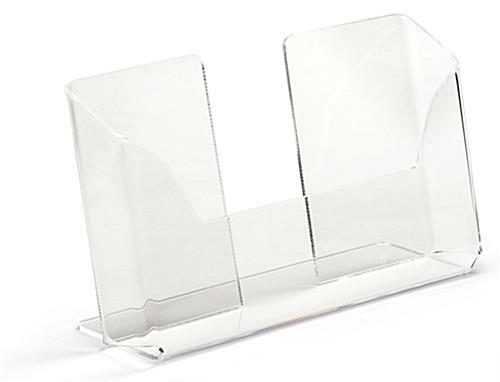 Place These Post Card Fixtures Near a Cash Register So Customers Have One Last Chance to Buy! Rotating base makes inventory accessible. Designed for easy removal of contents. 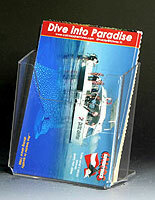 These post card fixtures, retail displays for countertops are available on this website with same-days shipping. Remember to call by 1:00 p.m. EST! These retail accessories are designed to accommodate a 6-1/2"w x 3-1/2"h x 1"d materials. 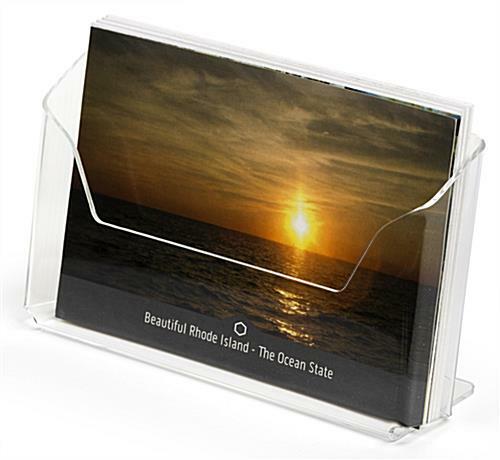 These post card fixtures that are countertop fixings are typically found at point of sale counters in a gift shop, convenience store, or stationary shop. 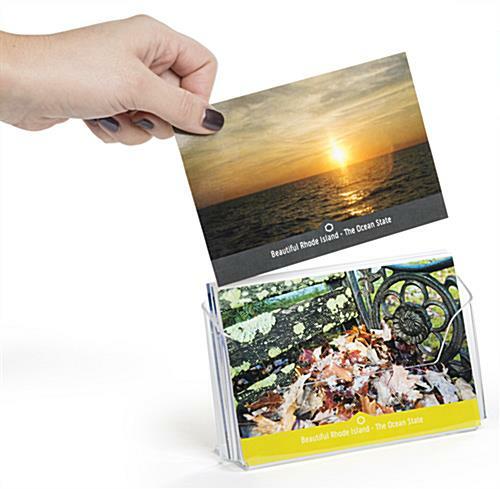 These storage units that are post card holders are simple and to the point. Each of these retail displays, store fixtures encourage impulse buys or remind people that they need a card to go with that present they just bought! Compact for tight spaces, these store fixture holders fit most countertops. 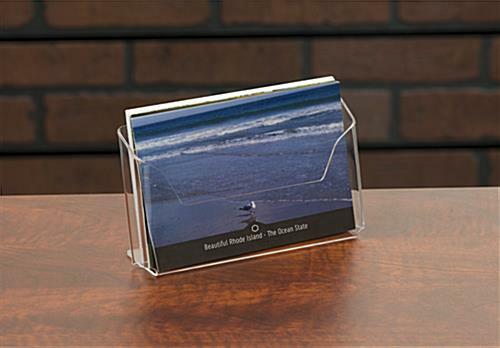 These post card fixtures showcase your merchandise, postcards in a way that makes them easier to buy. These units are single pocket and belong near a cash register. 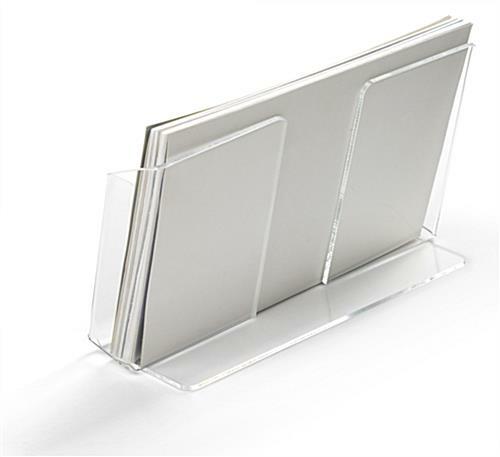 These post card fixtures, also known as countertop stands, are made of clear acrylic for a full view of the cards. These retail displays, store fixtures are a great way to spruce up a counter, and tell your goods! 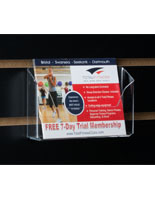 These post card fixtures accommodate standard 4"h x 6"w horizontally oriented postcards. This retail displays, also known as countertop stands, are an economical and practical marketing tool. Buy these store fixtures today! 6.5" x 4.0" x 20.0"